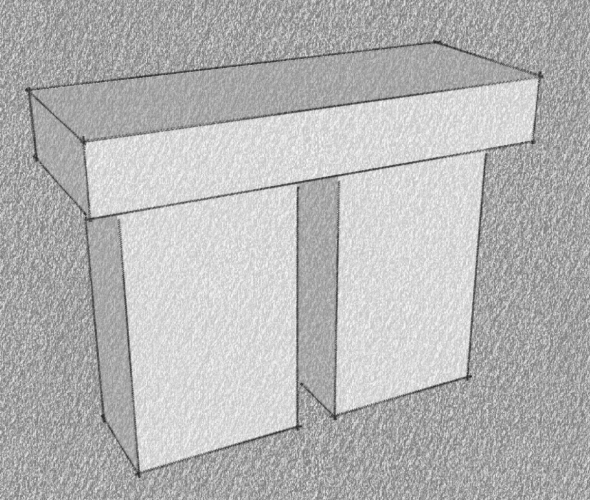 As part of an overall structure, you may desire to evoke the classic form of a Stonehenge trilith (post & lintel). 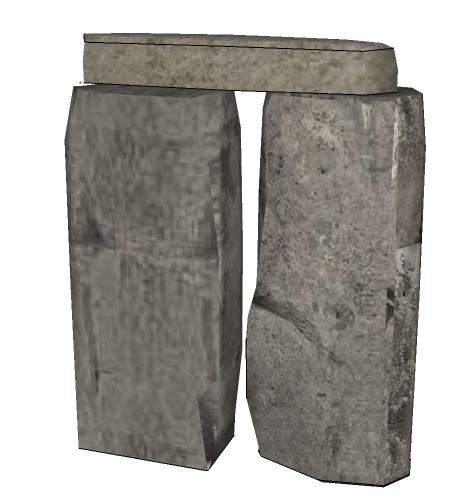 Consider using a post and lintel support structure that mimics the Stonehenge triliths. This pattern is similar to Pylon.